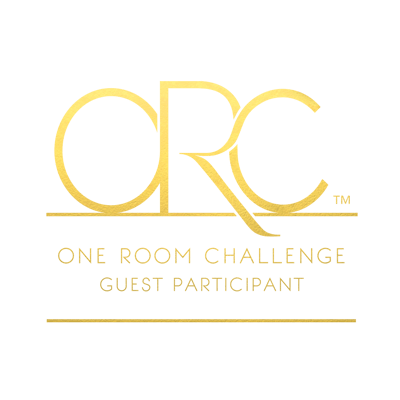 Over the next several weeks, I’ll be revealing the progress and realization of that vision as part of the One Room Challenge, which happily coincided with my renovation project. 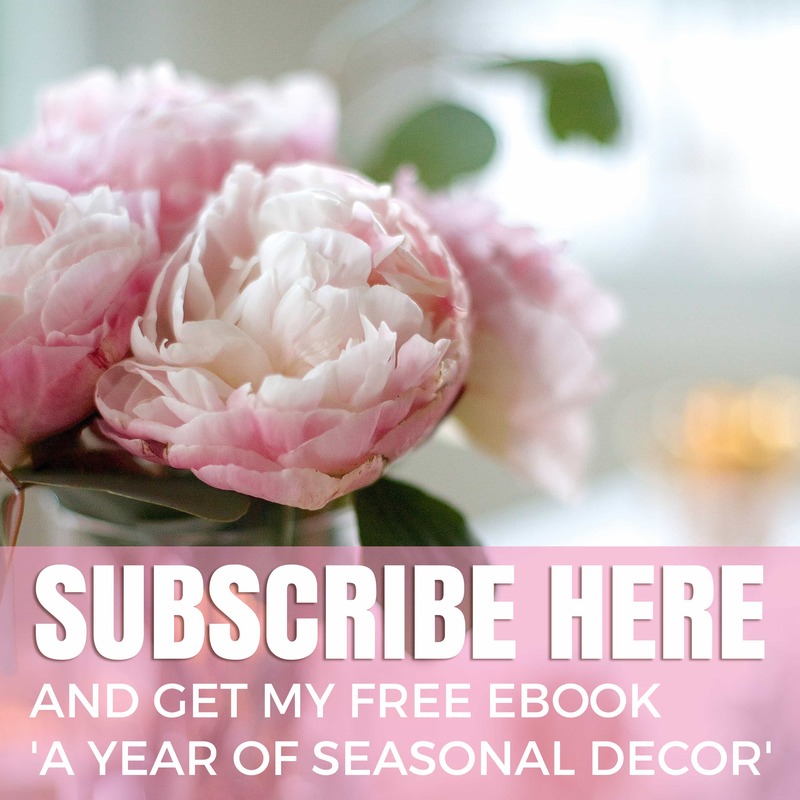 By following the ORC link at the bottom of this post, you can see other bloggers transform their chosen rooms over the same period of time. The challenge never disappoints! So let’s talk about my plans for this space for the upcoming weeks. The photos above are the before shots and while this is really more of a refacing than a full gutting of the room, I hope to reveal a completely transformed room by the time we are done. What I most dislike about the current space is how dark it is, despite the fact that is faces a wall of windows. This is exacerbated by the dark wood cabinets, the black granite counters, the steel grey backsplash and depressing floor. 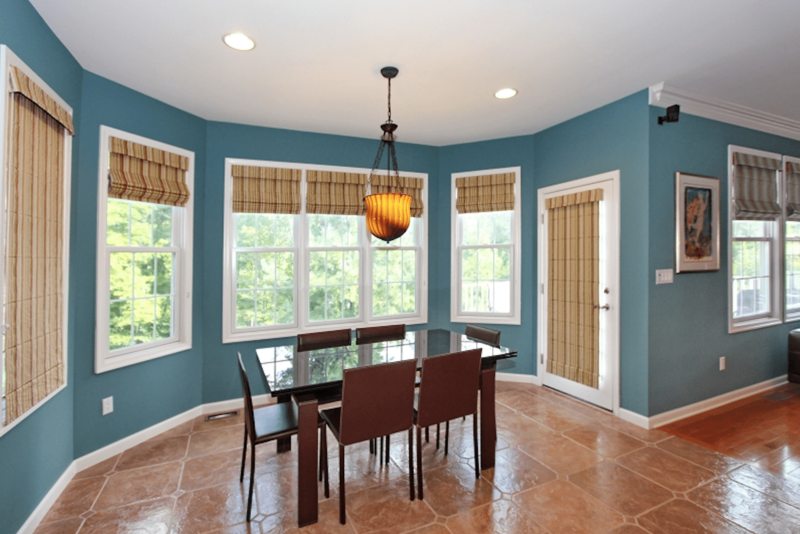 The breakfast room was particularly dark, due to the wall paint, the window coverings, the fixture, and that truly awful floor. You can see it already lightened up somewhat below, as we painted the walls in anticipation of where the kitchen was headed and replaced the lighting. 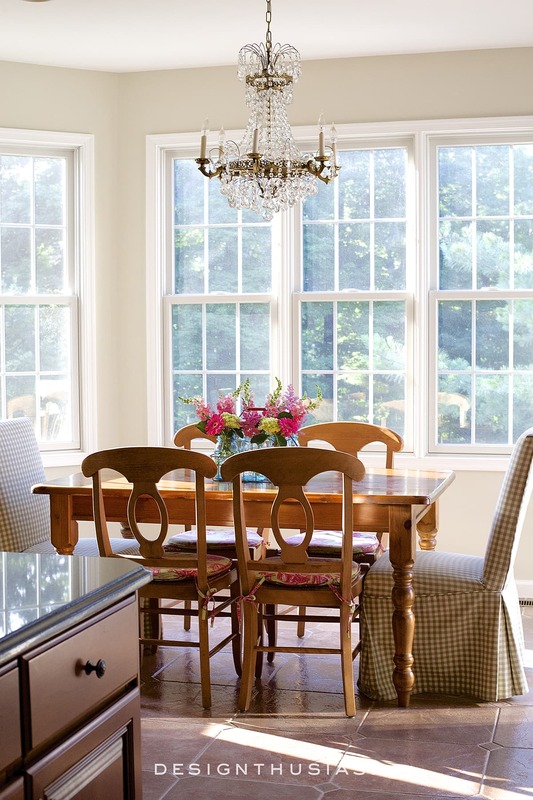 I also removed the dark window coverings to enjoy the light and lovely view. But the dark floor and remainder of the room still drags down the general feeling of the space. If you’ve been reading the blog for a little while, you’ve seen the transformation of our storage closet into a butler’s pantry. The design of this area serves as my muse for the kitchen and is exactly what I’d like to achieve, although I do have some parameters I’ll have to work around. For starters, I’m working with existing cabinets, so while the color will be the same as my pantry, the door fronts will not. 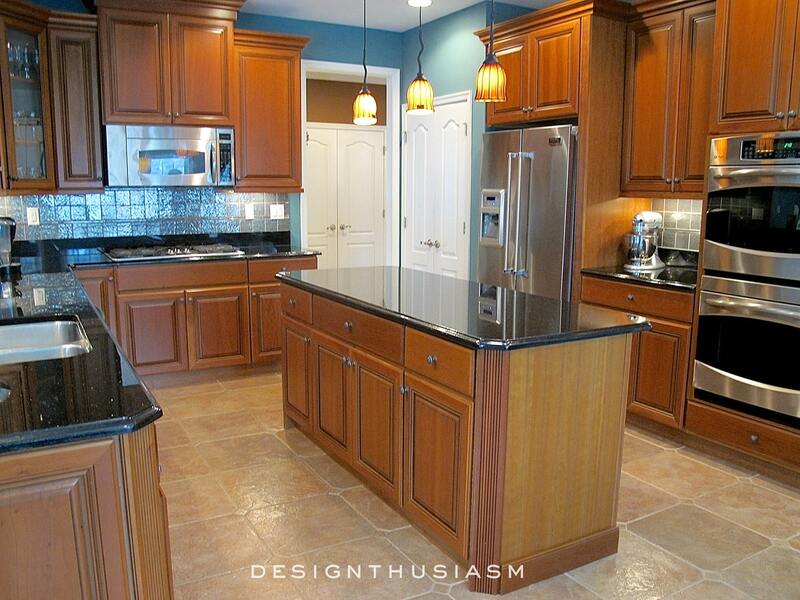 I’m planning to use the same tile for the backsplash but I won’t be replacing all of my black granite countertops. Only the island will be changed to a lighter look. 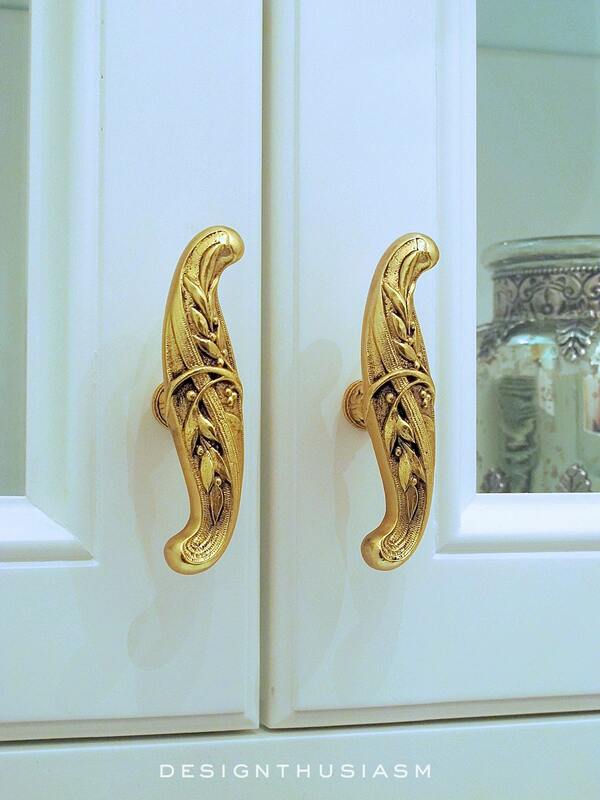 I’m looking at brass for the cabinet hardware but it won’t be the same as these exact ones. The photos below show some of the visuals that inspired me. These are not my photos so please click on them for the original source. If I had my way the entire room would be white. I love the lightness of the photo above and the way the pops of natural color look so wonderful against all that white. But in reality my kitchen will look more like this space above. 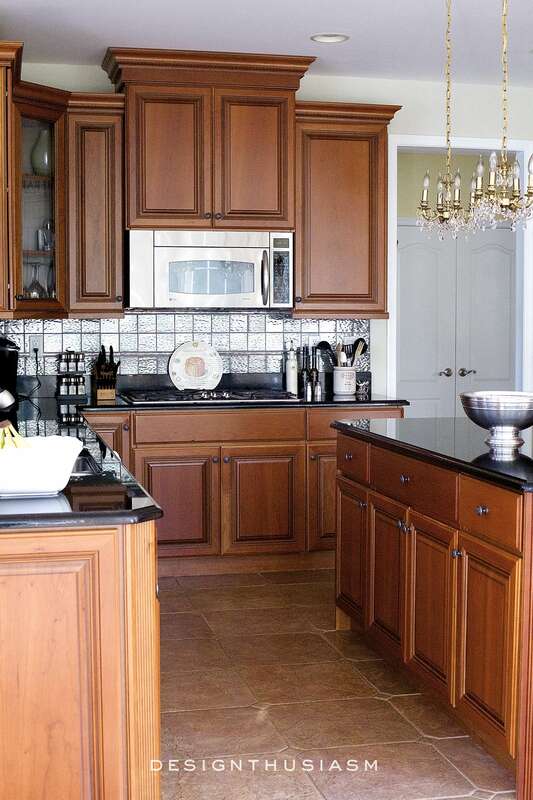 Black counters around the perimeter and white in the center, with white cabinets and brass hardware. 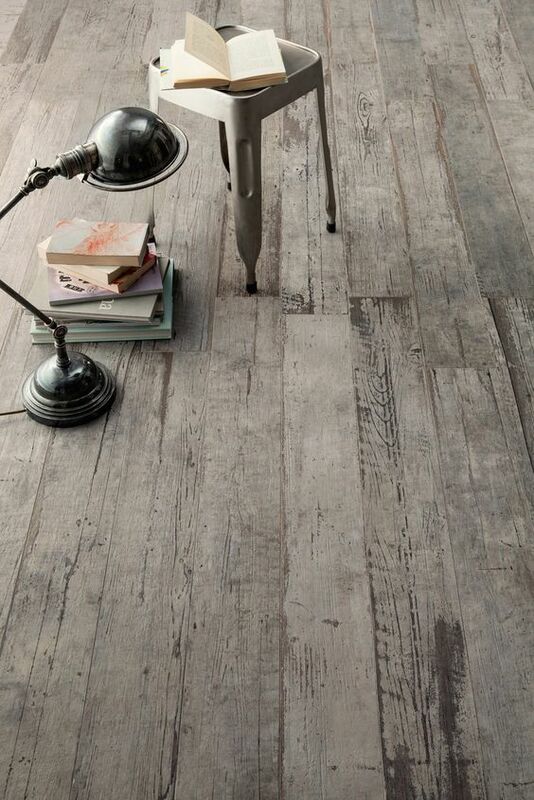 My floor will be much lighter though, like the floor below, a greyed over distressed wood look. 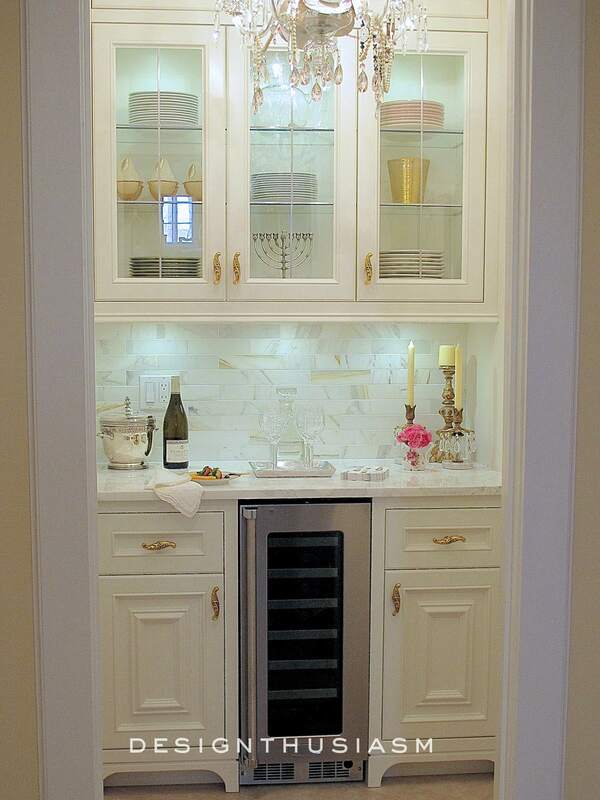 I also plan to add glass fronts to much of my upper cabinetry. 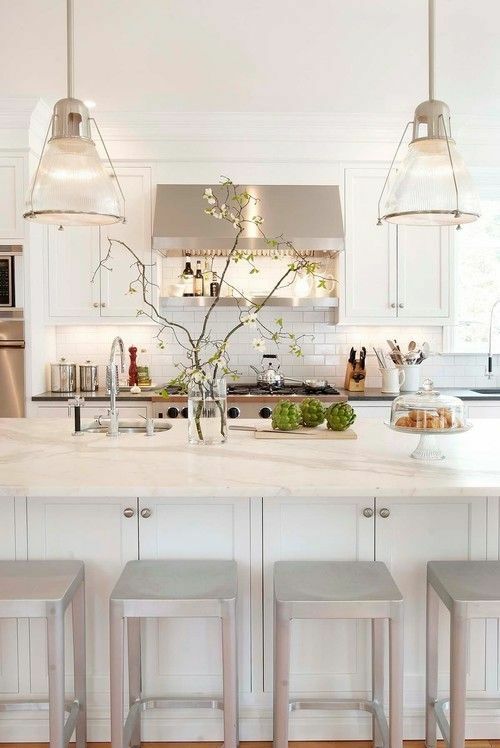 I love the clean look of white dishes behind all that glass. The very first step will be the center island counter, so stop back next week to see how that turned out. The look I’m going for is the look below. I’m also looking for an unlacquered brass faucet, although I won’t be changing my current sink. 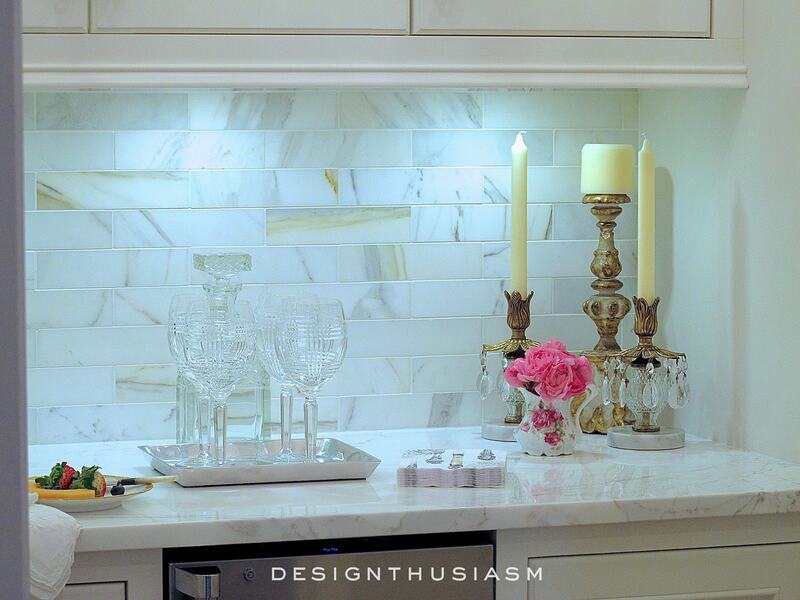 The photo below shows the black counter against the marble backsplash. This is very much how one section will look, although my cabinet finish will be flat white without distress. 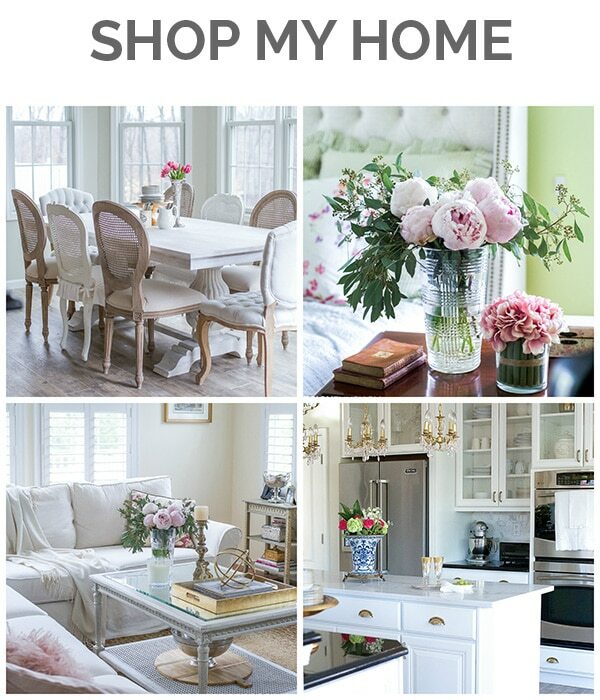 I hope you’ll follow along in the next few weeks as I reveal each piece of this renovation journey. Next week… the center island counter. When we were in the USA our house was just like this, a newish (4 years old) kitchen with dark wood cabinets and dark granite. We had it refinished in white, they did a fantastic job and although, like yours, it was surrounded by Windows it was always dark until the remodel. It totally changed everything. 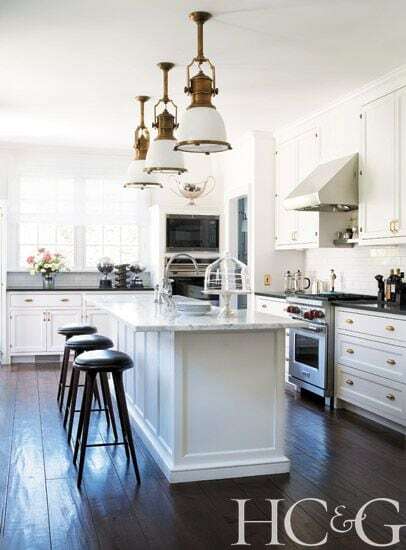 I have to admit I love white kitchens, here in France we have modern white units mixed with old white beams and a vintage walnut table, it works very well. I’m so glad to hear you were happy with the transformation. I think it’s amazing what a difference paint can make. How lovely the old white beams sounds! I’m preparing to do the same to my kitchen. 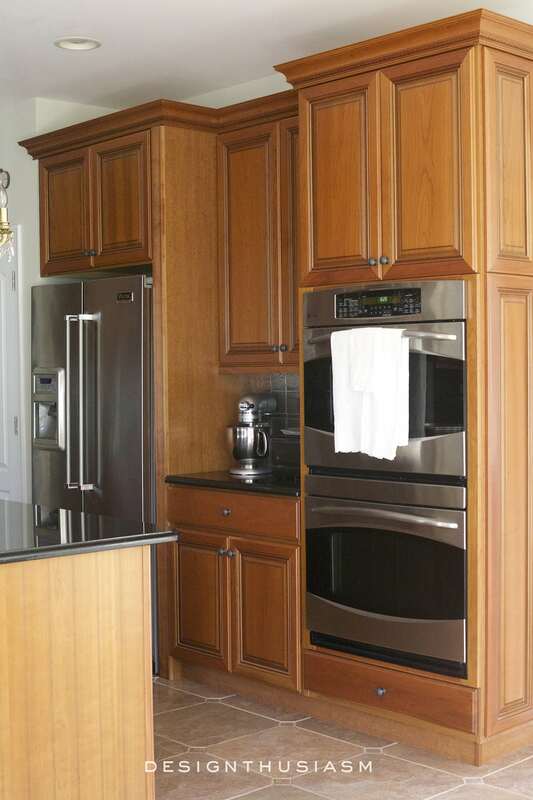 Change RED cabinets to white with existing black granite counters. 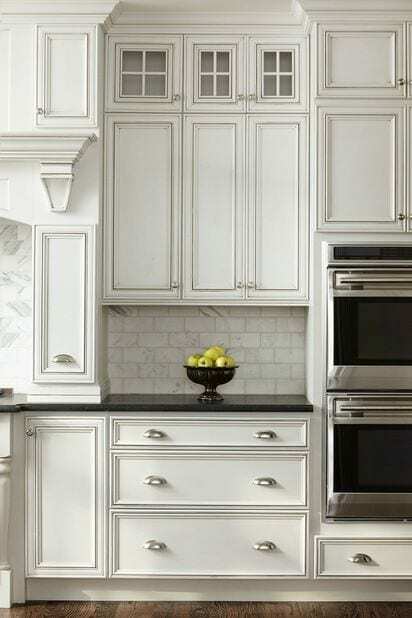 Curious what type paint will you be using on your cabinets? Thanks. Good luck with your renovation, Jonelle! The paint is Moralo semi-gloss and is the same thing we used in the butler’s pantry. Same color, as well (BM white dove). Your design plans are beautiful. 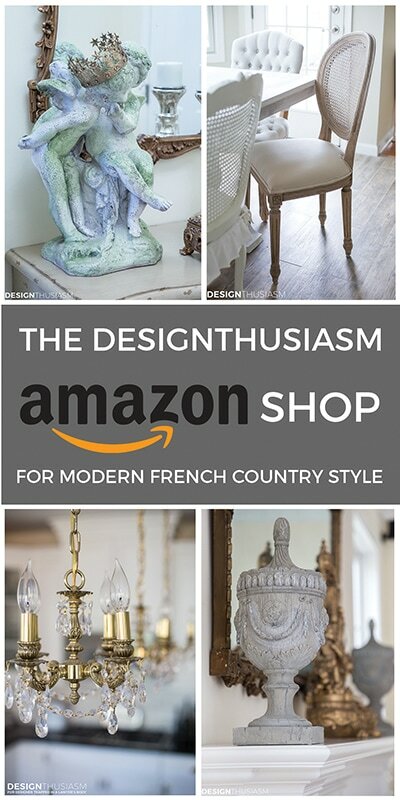 Your kitchen will be gorgeous. Your butler’s pantry is to die for!!! When we renovated our kitchen 10 years, we installed white cabinets but with a light glaze, red island with black glaze, absolute black grantite on the perimeter and limestone on the island. I still love the kitchen but am getting ready to repaint the breakfast area and kitchen walls. I’m interested in your breakfast room paint color. Do you mind sharing the paint color? Look forward to seeing your renovations and how you style your kitchen. You have exquisite taste! It’s going to be beautiful, I can tell. The floors are gorgeous. I agree even though we want new sometimes we have to work with what we have but I know it will be beautiful. I think the black granite will look lovely with the backsplash. I like the idea of the island being different for a statement. Can’t wait. 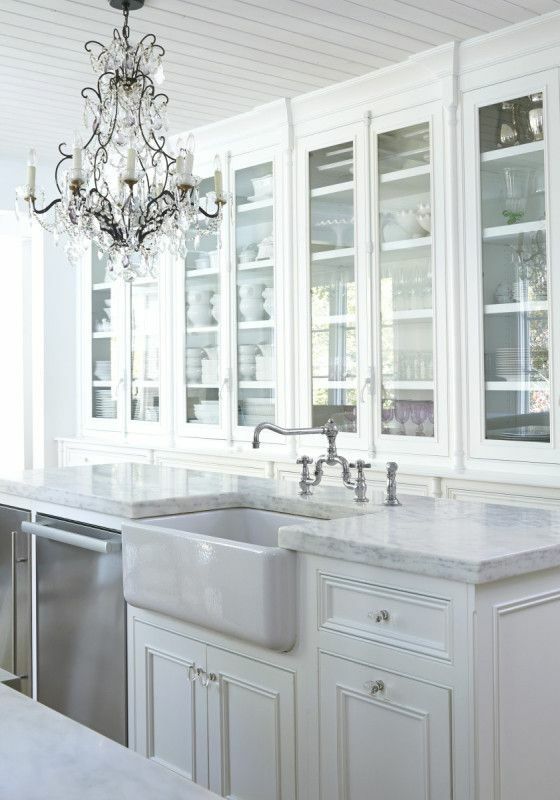 I love the look you are going for ~ but then I love white cabinets. You have such a way with putting things together, can’t wait to see your new kitchen. Thanks so much, Rose, for such a lovely comment!! I can’t wait to see the transformation. It is going to be stunning! 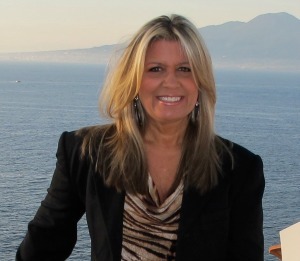 Lory, I love your design ideas! I think your kitchen will be beautiful. I’m looking forward to following along. I am truly excited for you and like everyone else, I can’t wait to see the progress. Thank you for sharing your beautiful home with us. Aww, thanks so much, Elizabeth! How exciting for you that your plans are underway. I also changed out old dark for new white a few years back. It seemed as if the walls had been moved back to create a larger space. The dark cabinets were just sucking out all the light. Maybe different because of where I live, but my 1962 built home always had a white kitchen. 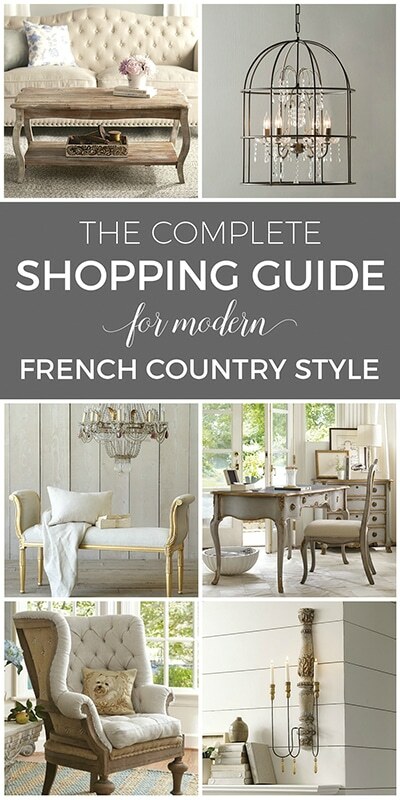 White is so timeless & I know yours will look great! Soooooo exciting–can’t wait to see the complete picture, which I know will be gorgeous! I do, and thanks!! Right back to you, if you celebrate, although wishing you a sweet year ahead, even if you don’t… 🙂 That menorah was purchased in Israel. I can never get the right sized candles because it’s really meant for oil. Thanks for visiting!! I cannot wait to see your remodeled kitchen. Everything you do is absolutely gorgeous. I love looking at your photos. Thanks for sharing it all. 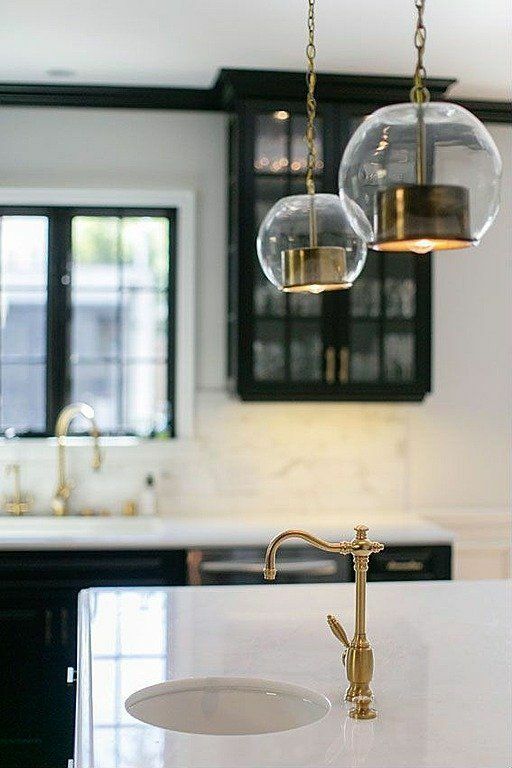 Hi Lory, I am all about the brass and marble feel of your room and love how you’ll incorporate the black granite with the white cabinets. I think it will give your kitchen a little distinction from all the ‘all white’ kitchens. There is no doubt that it will be stunning and I’m excited to see the progress and finished result. 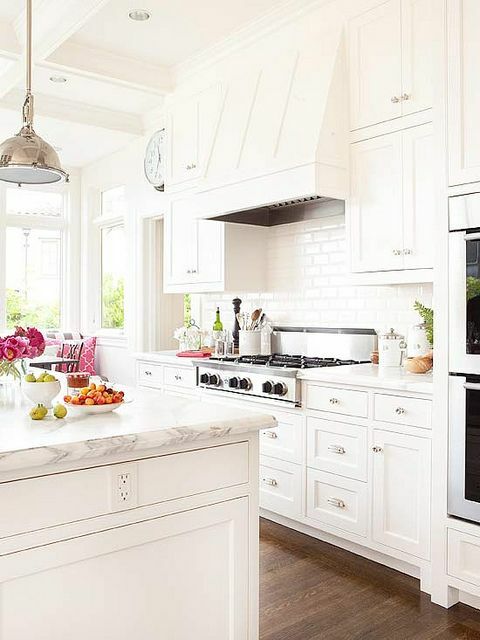 White kitchens never get old! Painting my cabinets white was one of the best things I’ve ever done in my home. I LOVE your butler’s pantry and can’t wait to see this reveal! Lory, this is going to look amazing! I love your plans and luckily the layout of your kitchen is already very functional. Can’t wait to follow along!